By choosing this add-on, you can add any number of extra of type "Across Straight Road" Transition Tiles to your Base Urban Set. Their purpose is to combine two different textures and/or Urban Themes on the same tile, so that they can join differently themed tiles. Please check the tile "Layout" diagram on the first image in this product's gallery, so that you make sure you choose the same Urban Theme as the one in your main Set. You have to pre-order a Base Set before adding any more tiles and/or base sets in your order. You can join together two differently themed Urban Sets, so that you can ensure a smooth transition between them! 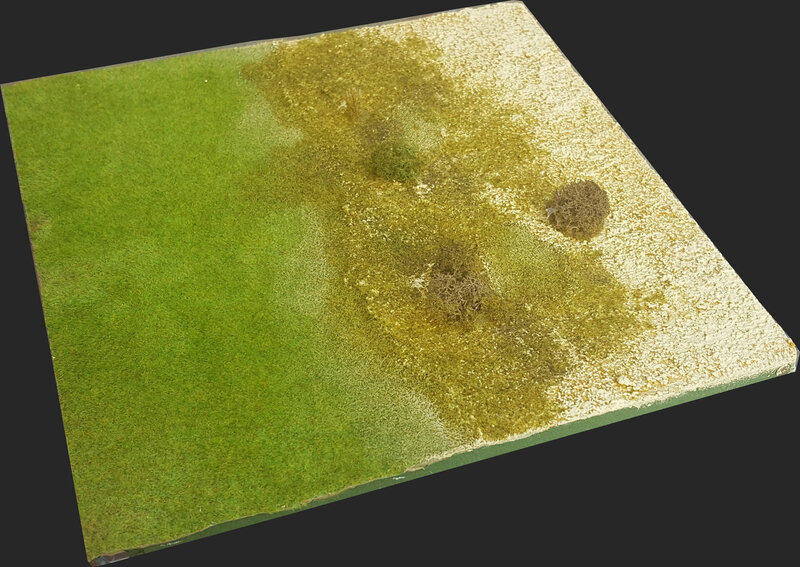 You can join your new Urban Themed set with our standard Pedion Modular Battlefields tiles. You may have a board already, to be waiting for one, or thinking of getting one; now you can combine it with any Urban set you get. You can extend your Urban Set with slightly differently themed tiles, thus giving it the look of having some town outskirts or some open grass areas. The transition tile type "Open Ground" can be useful even to people who are not going to get Urban Sets but have a standard Pedion Set already. It can be used to join two differently themed sets, e.g. Green Spring with Desert. These 30cm x 30cm (1'x1') Tiles connect magnetically and can be configured to create or expand any Urban board. Each Tile is 30cm x 30cm (1' x 1') and 1cm deep; the majority are made from polystyrene and PVC, with Resin extra pieces. "Magnetised" tiles have slightly increased thickness by 0.3mm. Actually, it is barely noticeable next to regular tiles and it won't affect neither terrain placement nor aesthetics. If there is an issue you should consider before upgrading your tiles, it is the weight increase. Some of the tiles may double in weight.